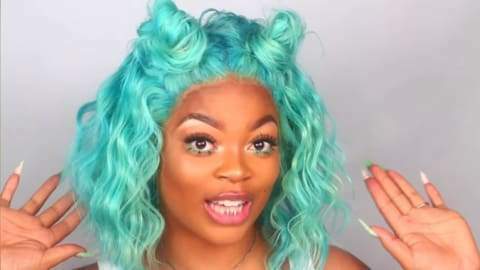 Hey gorgeous, If you’re getting bored with your everyday hairstyle or you’re planning to dress up as a character with vibrant hair, you may be thinking about to DIY a cute wig by yourself. Today Afsisterwig gonna show you guys an absolutely stunning DIY wig look from youtuber KCK Official. 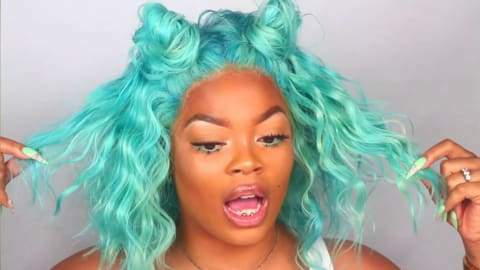 “So guys for today’s video I will be using a wig from Afsister and it is an amazing 613 wig. I’m just showing you guys the edges. I did not put this wig on at all, it came like this and I think that it was amazing on head to do any work. Firstly, I put some Vaseline on the inside of the lace, then when I apply the color, they won’t bleed through the lace. I spread water to the wig to make it easier to dye. Secondly, I mix conditioner and hair dye colors together. I take the color to the top and drag it down with my brush. I try not to miss any spot, as you can see I just go back and fill those spots in. For the front I’m using a tooth brush to put the color on the edges. To do that in small sections, from to the ear all the way to the other ear and take your time to do it. Look how stunning she is with the dyed Afsisterwig on. I'm sure you've learned a lot from her video, but we suggest that you dye your hair in a professional salon. If it is damaged, we are not responsible for it. If you really like a colorful one,you can choose our celebrity wigs. To get your own amazing blonde hair now, check the blonde wigs down below.